With Summer making an appearance in recent weeks, now is the time to get prepared for the warmer weather and Stuck On You want to help. Originally started in 1995 as a cool kids label company, Stuck On You have added many more personalised products to their range including lunchboxes, ideal for transporting those picnics, summer pyjamas for the muggy night times, puzzles to play with in the garden and beach towels, perfect for whether you are at home or abroad. 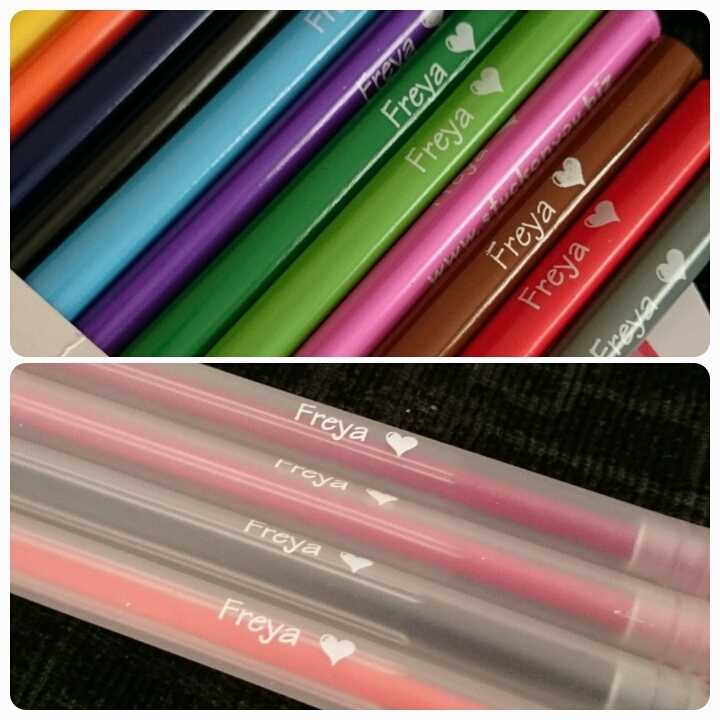 I was kindly allowed to choose a couple of items from their range to review. 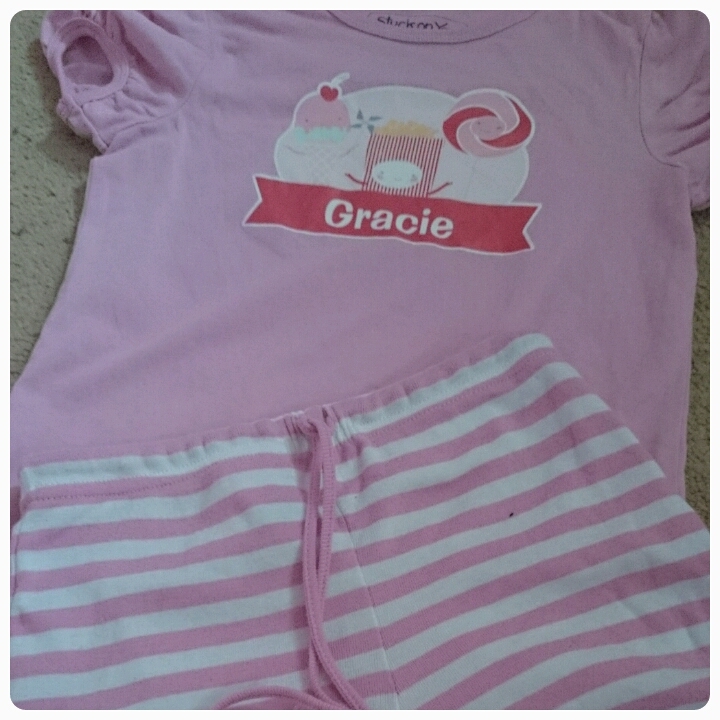 After much delibiration, I decided upon the budding artist kit and the personalised short sleeve pyjamas. Considering my items came all the way from Australia, I was extremely impressed with the short 5 days waiting for the delivery to arrive and the girls and I couldn't have been happier with what we received. 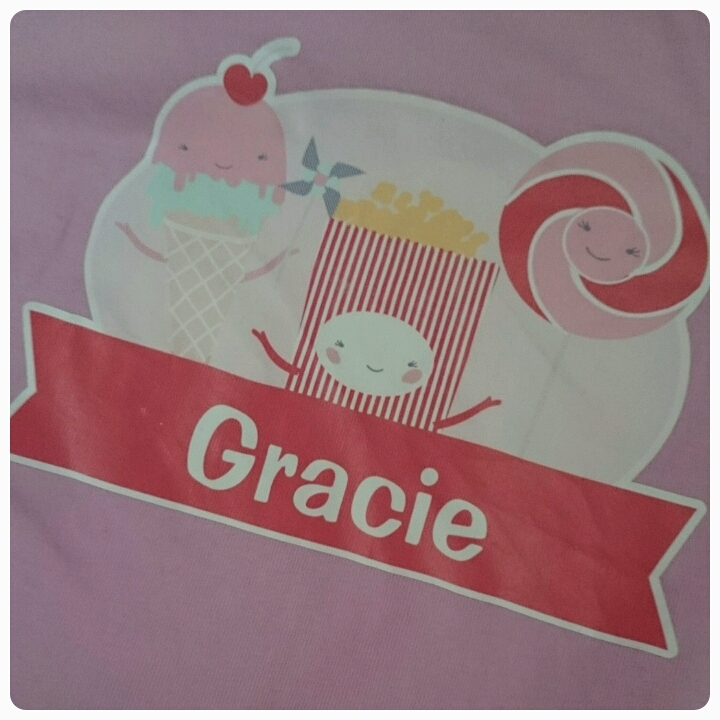 I chose the pyjamas for Gracie. These are priced at £12.99 and come in four different sizes, 2, 4, 6 and 8. I opted for size 4 as Gracie is wearing age 4-5 clothes. I would say the fit is quite generous, Gracie certainly has a bit of growing room in them and the drawstring waist allows the shorts to be tightened if necessary. There are then a choice of four colours, pink, white, grey or navy and then a choice of around 30 different designs to have printed on the top. 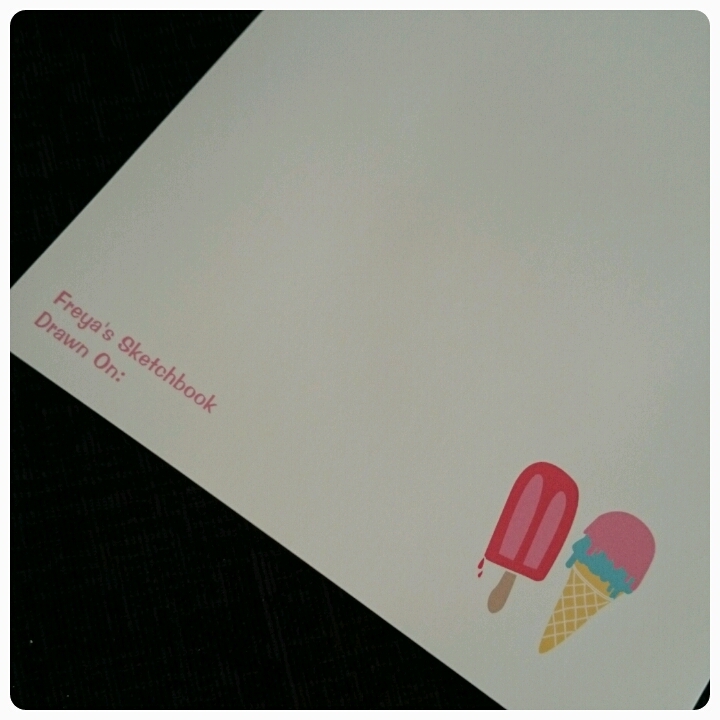 Gracie chose a picture which had an ice cream, lolly and pop corn, the ice cream seems appropriate for Summer. I love that they can be personalised and there is even a choice of different fonts. The quality of the clothing is wonderful, even after washing it doesn't lose it's shape and the design on the front remained completely intact. 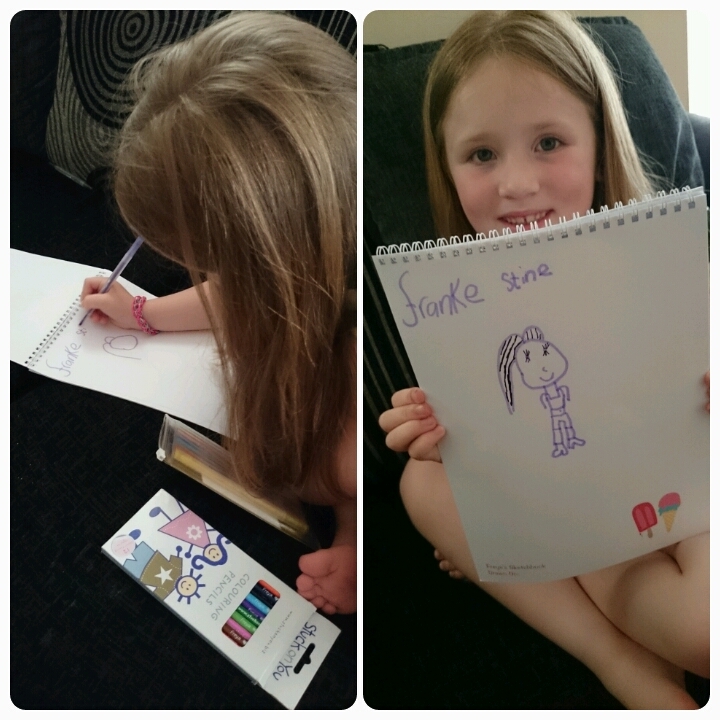 The budding artist kit was picked for Freya as she is my little artist, forever drawing pictures. Priced at £15.99, it comes complete with a sketch book, 10 pencils and 10 pens. 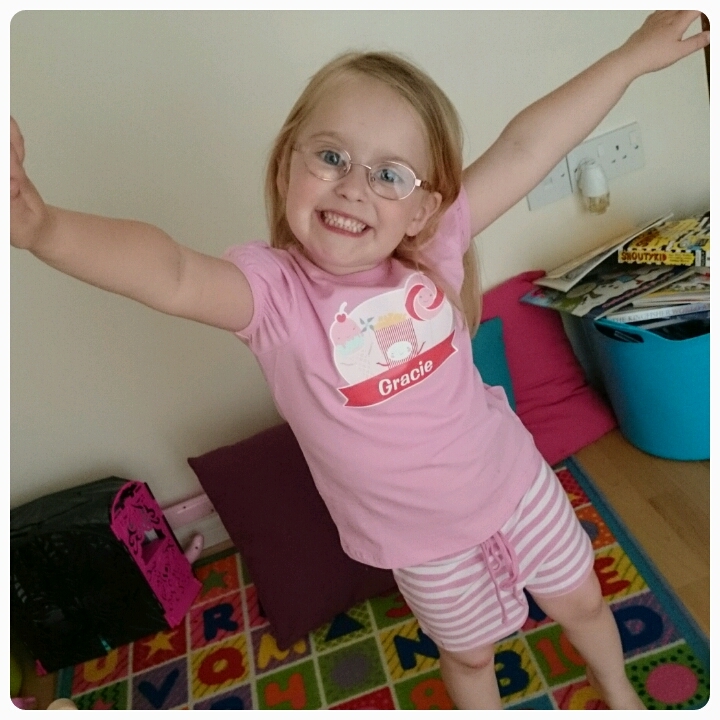 Each item is personalised with your child's name, great if they take them out and about or if they use them at school as they can easily be returned. 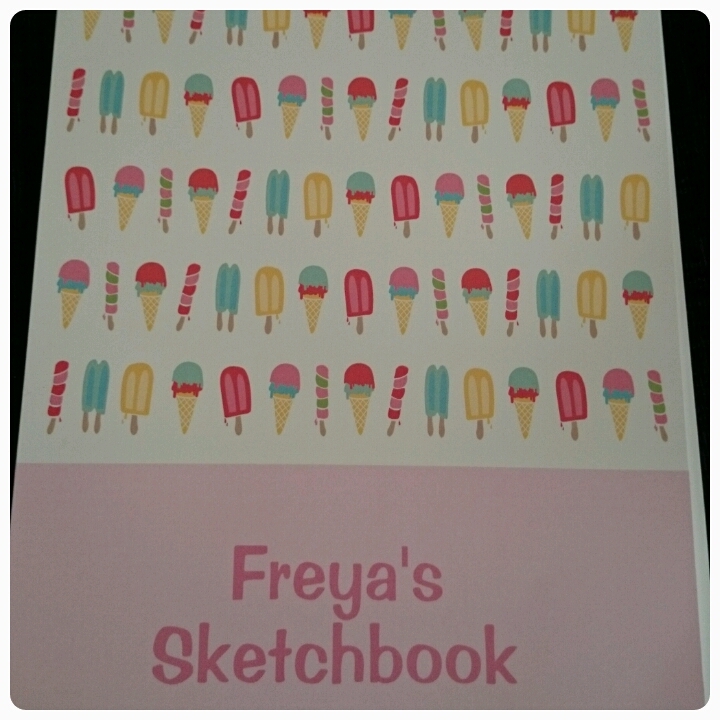 A nice added touch was that not only was the outside of the sketch book personalised, each individual page inside the book had Freya's name on too. 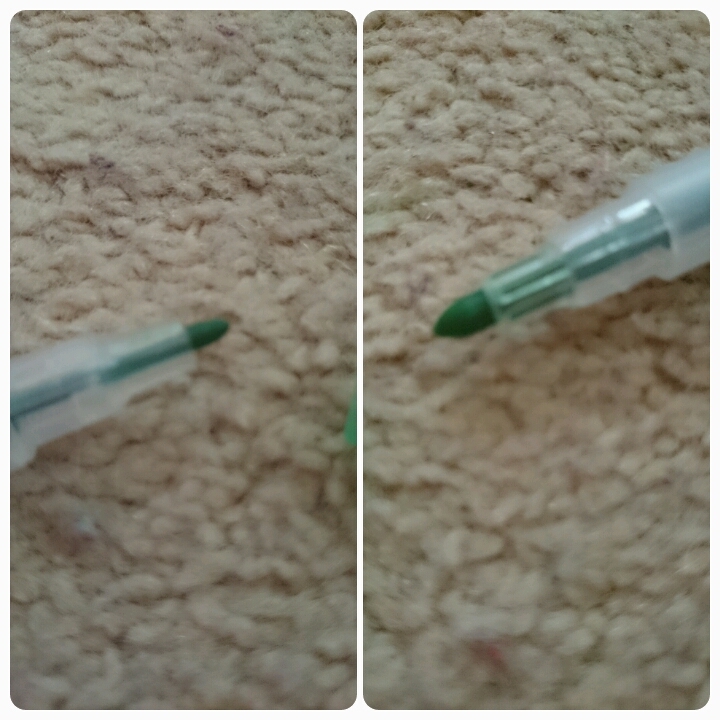 The pens were double ended with a thick pen one end and a thin pen the other end, great for adding different affects to drawings. Again you can see that these are made of high quality. And as you can see below, Freya wasted no time in getting stuck in and creating. I highly recommend checking out Stuck On You, their service, designs and quality of products are all of a high standard and not only that they are a little bit unique, nice to have something that not everyone else does and all at affordable prices too!! Now if you like what you've seen then I have a little treat for you. 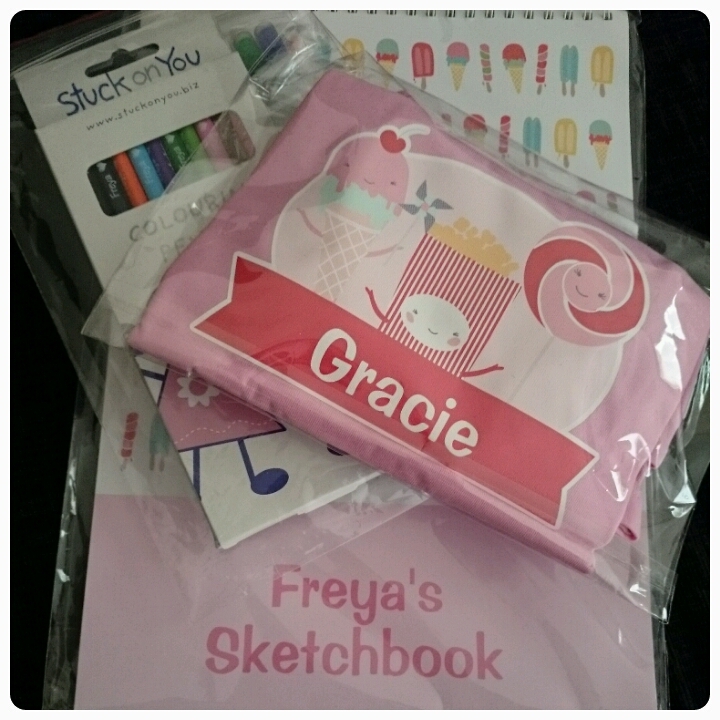 Stuck On You are allowing me to give away one of their Budding Artists Kits to one lucky reader. All you need to do is fill in the rafflecopter form below. Make sure to enter correctly as all entries will be checked and verified. The giveaway is open to UK residents only and will close at 11.59pm on the 1st July, good luck all. Being able to get my washing dry outside! Being warm is my favourite thing about summer. I like the long, warm summer evenings, it's great to be able to home from work and have some time sat outside relaxing. The long, warm days and evenings. Getting the little ones out in the fresh air without layers of clothing & wellies. Reading in the garden with a chilled glass of vino. Playing and eating in the garden. Plus the added bonus of getting lots of washing dried outside. That everyone seems a little bit more happy!!!!! Taking the kids to the park. Summer holidays - love the chance to spend time with my family in the sun. being able to take my son out and about in the sunshine! being able to enjoy the outdoors in the warmth! Picnics in the park with my children. being able to go outdoors in the sun. The birds, flowers & froglets in my garden. School holidays. I love being to spend the warm summer days with my kids, getting them out to the park and the beach. Seeing their tired but happy little faces after a fun filled day makes my heart melt. The warmer weather and lighter nights. I love the days out to the beach or to the park. Camping, the beach, picnics, sunshine, BBQ's, swimming pools, playing rounders and kicky ball spy oh! in the park with the whole family. When its over, prickly heat , hayfever and worse ashma..boo! But come early september it's al done with, do enjoy a nice publunch! being able to sit outside with a glass of wine.